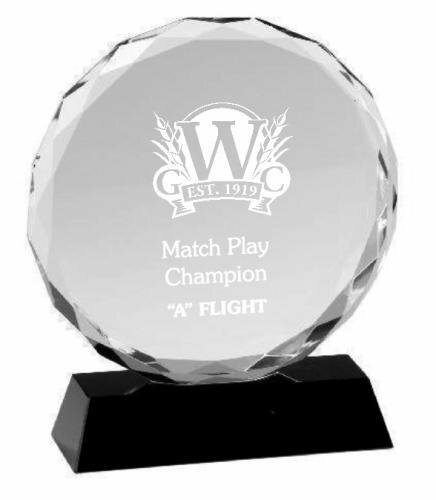 This round crystal award has facets around the edges and is attached to a black base. It makes an excellent employee appreciation, recognition, sales or achievement award. Your text is sandblasted a frosted white on the optic clear crystal. Individually boxed.